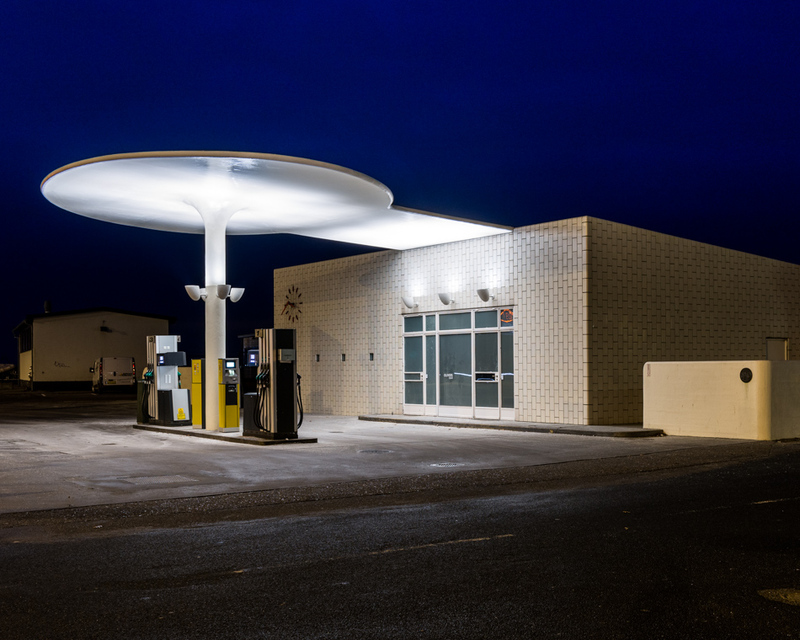 This is a petrol station on the coast north of Copenhagen, and it is a Danish icon. 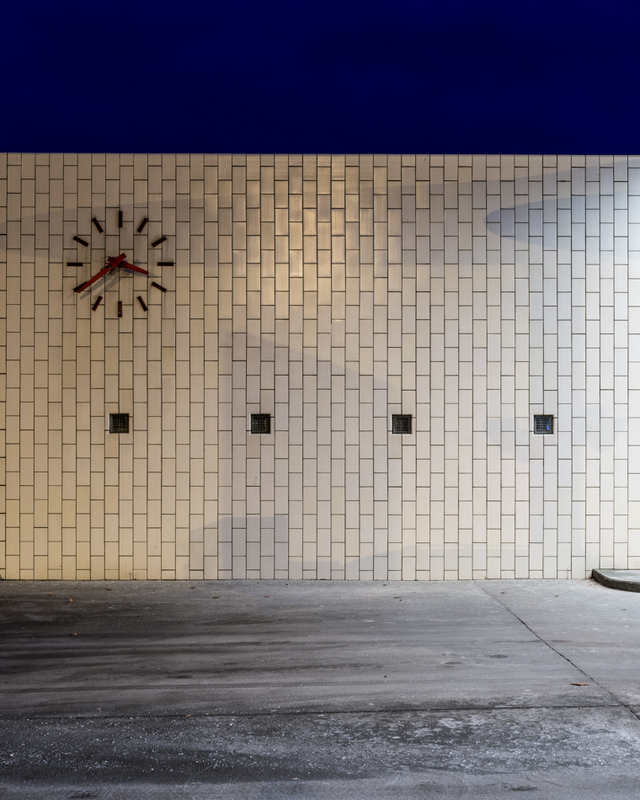 It was designed by Denmarks most beloved architect and designer Arne Jacobsen (the guy that made the famous chairs "The Swan" and "The Egg"), opened in 1936, and still operates as a petrol station today. The petrol station was a prototype for a new standard filling station that would be introduced by Texaco, but it never went into production and so remains the only one of it's kind. Situated right next to the sea, you can get a great view while you fill up, as well as an ice cream - the cashiers shop has been turned into an ice cream parlour. 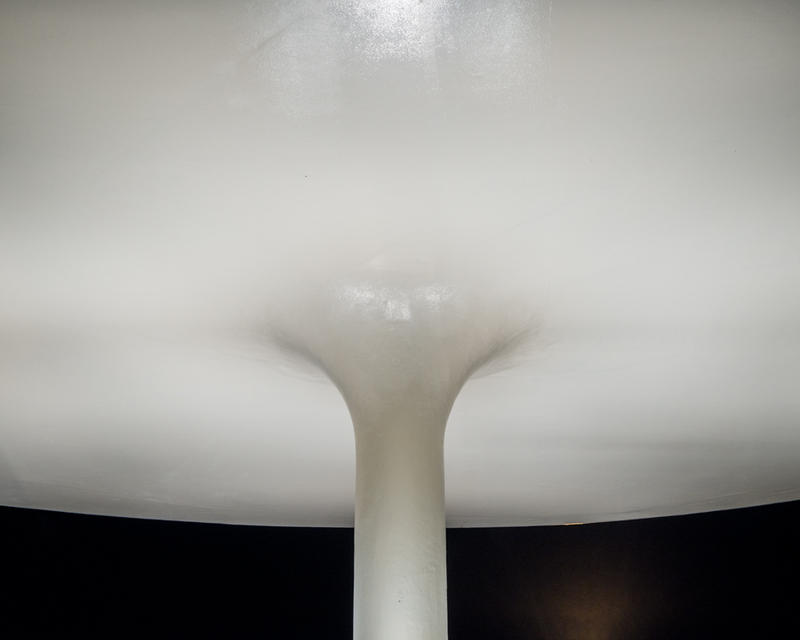 Nicknamed "the mushroom" (Paddehatten) for obvious reasons, it is probably the most beautiful and unique petrol station I have ever seen, and looks to me like the inspiration for the Starship Enterprise. Photos taken for a piece on iconic Danish design for the magazine Euroman.